La Mirage is a contemporary resort built on the grounds of a 200-year-old hacienda. Wander through the extraordinary fragrant hummingbird-filled gardens, watching peacocks strolling by. Enjoy delightful regional and international cuisine. Relax in the unique and elegant spa for a variety of 11 different treatments. Dear helenee, What a lovely surprise to open TripAdvisor and find your most beautiful assessment of your recent stay with us. You so very kindly paid a random picture of your brief stay, including the accommodation, the Spa, the cuisine presented in both available dining areas, as well as the gardens and not forgetting the peacocks. Thank you ever so much for your review. Best regards, Patricio Hidrovo, Gen. Mgr. on behalf of the entire staff. Dear Guest of La Mirage, We wanted to take this opportunity to thank you very much indeed for your kind comments about your stay at La Mirage. 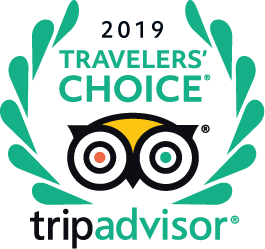 Needless to say that we are thrilled that we succeeded in making your stay A MAJOR HIGHLIGHT OF YOUR TRIP. Thank you so much and we hope that future clients might be enticed to visit La Mirage because of your spontanous comments. Kind regards, Patricio Hidrovo, Gen. Mgr. Dear CorkyClarke, We wish to thank you very much indeed for your wonderful and frank assessment of your recent stay with us. We have taken each mentioning very serious and management will revise and re-calculate the offered prices as mentioned on our wine list. So when you return you will find the prices acceptable which also might be appreciated by other clients of ours, who love to enjoy a good wine at an acceptable price. Kind regards, Patricio Hidrovo, Gen. Mgr. We have been going to La Mirage for our anniversary for quite a few years. It is incredible how they keep the same great service and delicious food. The Spa is one of the best I have been to. It is well worth the price. Dear Gracieladsaenz, Please accept our belated Congratulations on your recent anniversary and we are so pleased that you have enjoyed previous visits on this very special day of yours. It was a pleasure to read your acceptance of the available cuisine and service as well as the Spa services. We do thank you ever so much for your valuable assessment of your stay at La Mirage. Looking forward to another visit of yours. Kind regards, Patricio Hidrovo, Gen. Mgr. Dear donnaf651, On behalf of the entire staff I take great pleasure to thank you for your comments regarding a recent visit to our property, which you shared with TripAdvisor. We are happy that you enjoyed the available service, the accommodation, the provided cuisine and in particular the selected Spa treatments which you mentioned. We try very hard to pelase our clients and obviously we have achieved our commitment with you. Thank so ever so much for your kindness. Best regards, Patricio Hidrovo, Gen. Mgr. I would like to share these photos in my Facebook with my prominent friends from all over the world. Can you horseride from this hotel? How close is the hiking? I would like to know the distance in to town and is it easy to get back and forth for dinner? What excursions and activities are available? ¿Reciben a 3 personas adultas con una cachorra schnauzer por 2 días y 1 noche? "we booked the cheapest double through booking.com and it was a lovely room"
"They are all different, and all of them have their charm!" "Rooms near the spa are very nice"
"Ask for a room away from the road where traffic can be heard. Also, often the hotel will give you a better rate when booked directly."